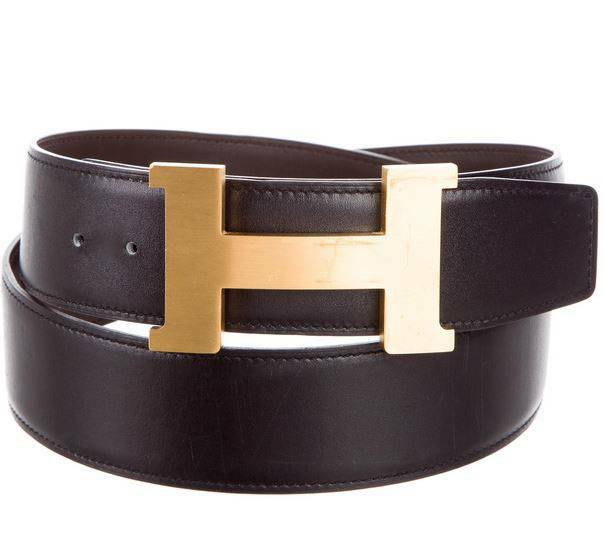 Hermès Constance 42mm belt in black and dark brown leather with tonal stitching. Gold tone "H" buckle closure. Blind stamped T for 2015 includes original box and dust bag. Buy 100% genuine designer items with confidence at Consignista.